My drawings reveal a world where larger-than-life bacteria roam, neighborhoods blend into graveyards and repeating structures unravel or contribute to a growing mass. Together, my work narrates a roller coaster of experiences and observations, from slums and palaces to personified food. Narrative figures are often located in trap door situations yet are oblivious to their uncertain outcomes, creating sensations of calmness in the midst of calamity and perseverance despite unmanageable odds. 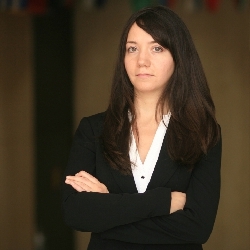 Nicole Margaretten is an established visual and sound artist whose work is collected worldwide. Influenced by global travel and economic and political development, Nicole received a Master of International Affairs from Columbia University's School of International and Public Affairs. Ms. Margaretten received a travel grant to record sound in the Colombia Amazon and was a resident artist in Adelaide, South Australia.